The free Chinese newspaper am730 is ranked no. 1 as the most credible one among the kind. 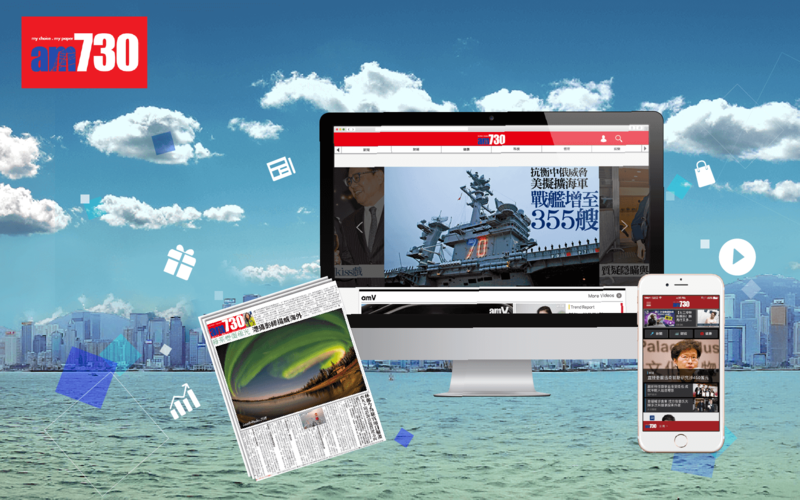 Together with the daily average circulation volume of 430,000 copies, am730 embraces a readership of 930,000 people. Legato developed a cross platform solution for am730 to easier manage and update all the content in both website and mobile application through one single content management server. The new am730 App comes along with several brand-new functions. It is now a portable platform for readers to access the amV Videos. Not limited to a better viewing experience, audience may find the in-App Jetso coupon redemption at ease. The refreshed personalized user interface of the App meanwhile takes the convenience to the next level. UI/UX Design, Text-to-Speech, Video Broadcasting, Coupon Redemption, Content Management System, Data Encryption, Connection Security, iOS and Android Development.